Some office friends and I had a few birthdays and work accomplishments worth celebrating, so we decided to eat out last night, but outside Eastwood City this time. Our chosen destination: SM Aura Premier (which I've never been to since its opening, mostly because some architectural features in the exterior seem sketchy to me). My suggested restaurant which we all have never been to and therefore agreed on: Ramen Nagi. 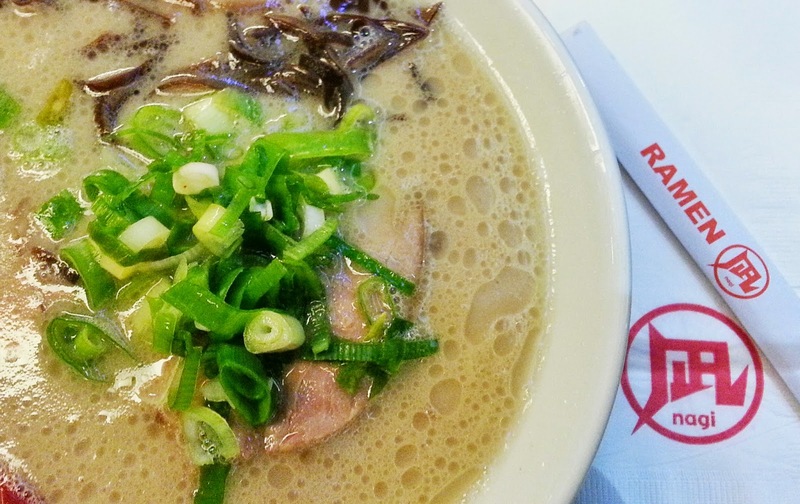 Ramen Nagi only has four branches in the Philippines so far (SM Mall of Asia, SM Aura Premier, SM North EDSA and Robinsons Magnolia) though its franchise extends globally. We arrived at its fifth-floor location in SM Aura Premier and were fortunate enough to have been seated almost right away. Synchronized shouts of "Irasshaimase!" ("Welcome!") from Ramen Nagi's wait staff greeted us at the door. Not sure if it was the lack of bowing real Japanese-style but it felt just a tad like I was entering an SM Supermarket right after their bell has signaled for them to do their clap-thrice-HAPPY-TO-SERVE thing. We were handed our order slips on small clipboards for us to customize our ramen, and the choices were Butao King (original ramen base), Black King (garlic, squid ink), Red King (spicy ramen base), Green King (basil, cheese) and Limited King, a limited ramen which they rotate through their other ramen flavors like, currently, the Ebi King. 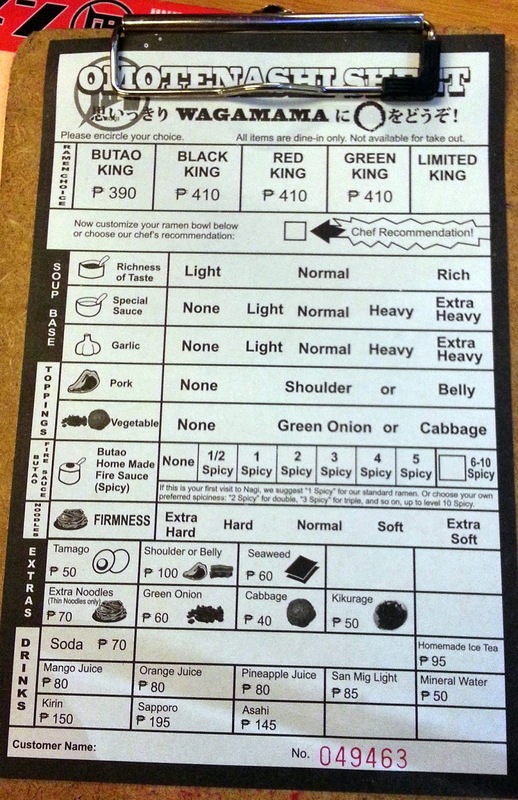 For ramen beginners, our waiter recommended Butao King with spiciness level at 1. I was hungry and didn't want to think too much about what I was ordering, so I did as he said and then ticked "Chef's recommendation" for the rest of the ramen elements. Despite the menu having the disclaimer that waiting time is at least 15-20 minutes, our order arrived surprisingly fast. I've never been to Japan, have only tried ramen at Teriyaki Boy so far, and could only reference anime like Naruto and that ridiculous film called Ramen Girl for the popular Japanese noodle dish, but I think that Ramen Nagi's Butao King pretty much nails how gourmet ramen really should be. Not surprising as Ramen Nagi's chefs are ramen masters after all. 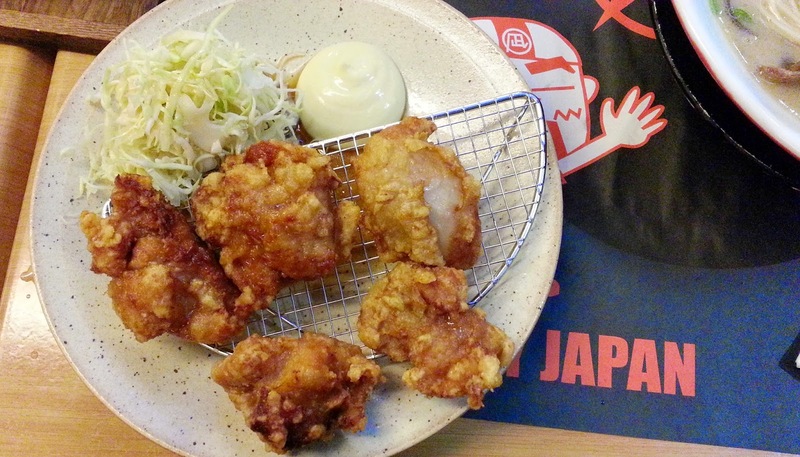 We also ordered curry spring rolls and chicken karaage, which were both delicious. 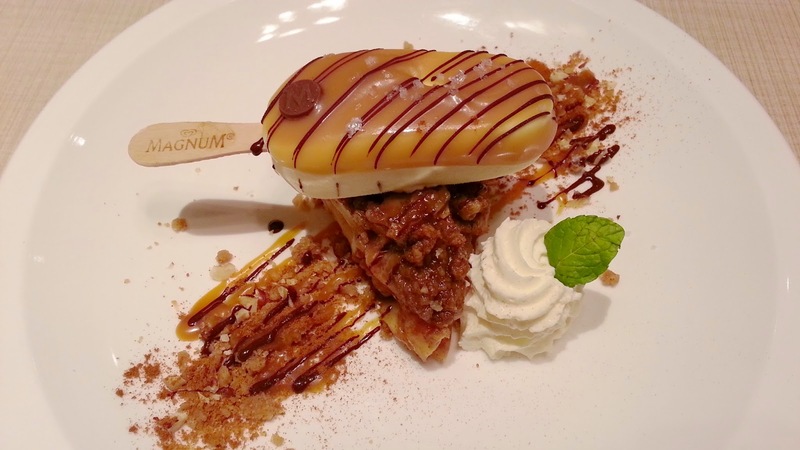 After dinner, we went for desserts at Magnum Manila, also on the fifth floor of SM Aura Premier. I love Magnum, especially its almond and gold variants, and being a sweet tooth in general, the idea of getting to customize my own Magnum bar seemed a very exciting endeavor. Upon entering, we were asked by a waitress whether we were ordering plated desserts, which meant we needed to be seated, or were just customizing our own Magnum bars, which meant we could go for take-out. The place wasn't even half-full, so I'm guessing this was just preemptive crowd control. We opted to order plated desserts so we could be seated, despite our original plan of only trying the Make Your Own Magnum Dessert Bar. 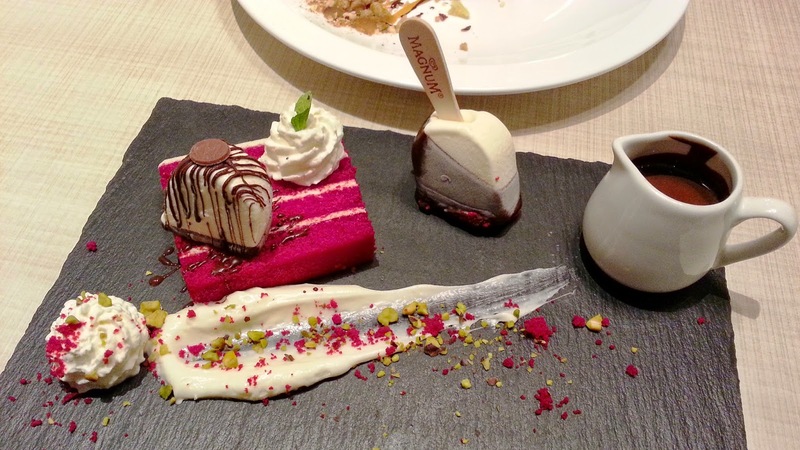 Magnum Manila's plated desserts are basically at least one Magnum bar in a plate of cake slice, pastry or fruits. There were five of us and since the plated desserts could be shared, we decided to order three: apple pie crumble, red velvet and Death by Chocolate. The first two are exactly as they are named. Death by Chocolate is deep dark chocolate lava cake and a chocolate truffle Magnum bar topped with brownie bits and chocolate crispearls. Being their bestselling plated dessert, it needs about 15 minutes' prep time. I'm uncertain whether it was because I was sharing plates with friends or I simply have a really high sweetness threshold, but I didn't enjoy the desserts very much. Or maybe it's because they were a bit impractical (for each dessert I could have ordered a dozen original glazed Krispy Kreme donuts and would have been way more satisfied). 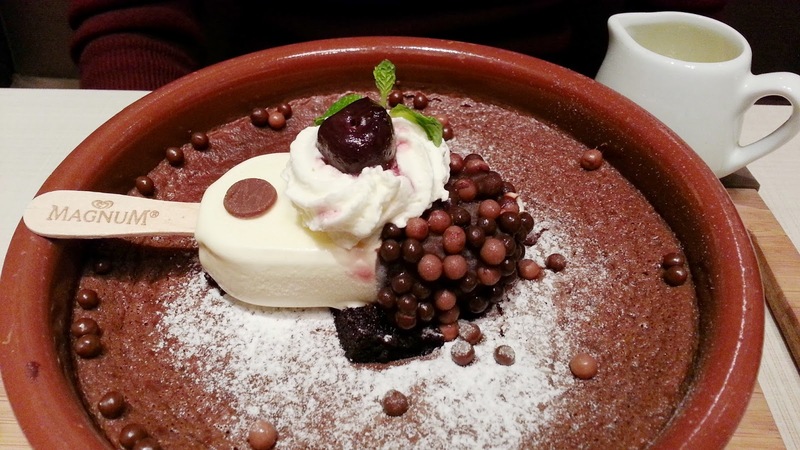 Still, Magnum Manila's desserts are delicious, and it cannot be denied that they are unique. 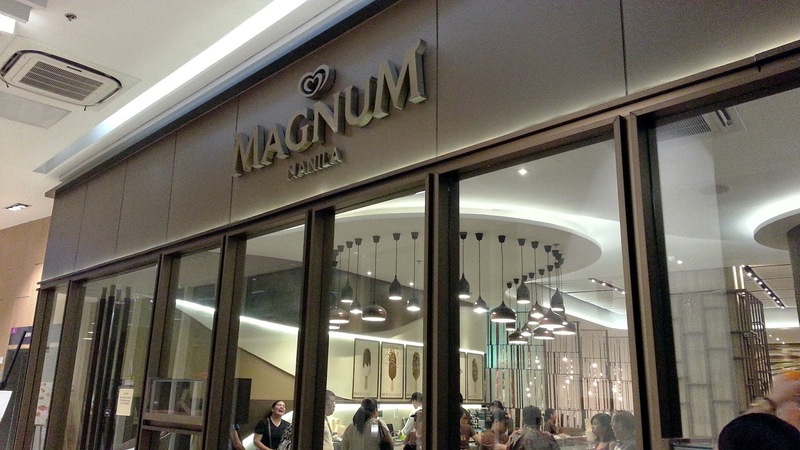 Magnum Manila is big for an establishment that serves mostly desserts, and beautifully decorated, with photos of inspiration Magnum bars by the booths, and their M logo and an art installation of the Banaue Rice Terraces made using many, many Magnum sticks. The place also serves hot meals, many of which I wanted to try after seeing their menu. Visit them before their one year at SM Aura Premier is up. That branch is just a pop-up pleasure store after all.